In 2016, approximately one-third of children and adolescents were considered obese. If this trend remains steady, scientists assume that there will be more than 70 million obese children by 2025. This means that children need to develop healthy habits more than ever! Healthy eating and regular physical activity is the key to fighting these devastating stats. 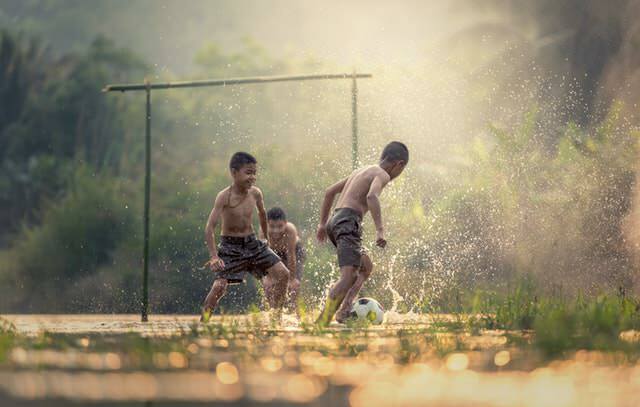 Physical activity is not only integral to children’s physical health and development, but it’s also critical for their mental and social development. Physical activity improves blood circulation and makes children feel more energized. If you want your kid to be more active, here are some fun fitness activities your child (and you) can try. Bike riding has always been such a fun activity for the whole family. You can easily make a circle around the block or organize a fun day out and cycle to a nice picnic location. Children are quite fast at figuring out how to ride a bike, so don’t worry if your kid hasn’t learned yet. All it takes is 30 minutes to an hour to teach your kid all bike-riding secrets. Even if your kid’s a good cyclist, until they’re at least 10 years old, they should ride on sidewalks and paths. And of course, safety first, so helmets are a necessity both for your kid and you. Swimming is by far the best cardio activity on this list. It activates almost every muscle in your body, tones muscles and builds strength. Additionally, swimming improves coordination, balance, posture, flexibility and alleviates stress. It’s a complete fitness package great for all ages, and it’s fun too. There’s no age restriction on swimming, and there are classes for schoolers, preschoolers, and even babies. When your kids get bored of swimming around, splashing in the shallows can be just as tiring and even more fun. They can play catch or tag in the water, which is guaranteed to give them a good workout. This super fun activity is another game perfect for the whole family. 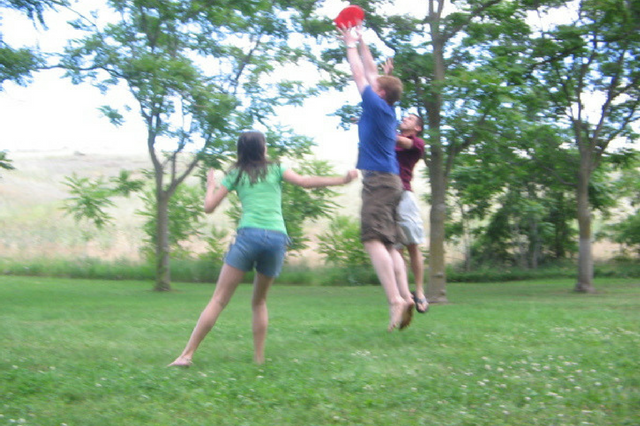 There are many different Frisbee games you can play, such as “Ultimate Frisbee” that’s similar to soccer or Frisbee golf. Whatever you choose to do, it’s going to be fun and your kids will break some serious sweat from all that running and jumping. It’s a great workout that doesn’t seem like a workout at all! Every kid enjoys running around the playground, even those who say they are too old to do it. Playgrounds can really offer a fun physical activity for everyone! Your kid can play Tarzan on the monkey bars, pump their legs while trying to get as high as possible on the swing, or just run and jump around with other kids. And parents should feel free to join in. You will end up as tired as after one of your gym sessions. Parents, do you remember how much fun you had on wheels when you were your kid’s age? Well, a lot! Teach your kids how to skate or rollerblade and you can cruise around the park together. You probably have some old skateboard hanging out in the garage, but if not, you can get a mini cruiser perfect for kids in any well-equipped skate shop. If you think your kid’s still a little too young for skateboarding, you can find some cheap razor scooters to prepare them. As you can see, exercising doesn’t have to be boring! It’s very important to implement some of these ideas into your child’s daily routine and explain just how vital being active is for their health. By being active in any way, your child will have a healthy body and brain which is necessary for normal growth and learning.